It’s a good thing there are go-getters out there willing to not only put some elbow grease into running a successful business, but then also offer up tips for anyone else who might want to become an entrepreneur in the same vein. To wit: A guy who’s managed to develop a profitable career buying and selling appliances on Craigslist. And he’s willing to share how he does that. In what sounds like a Mom & Pop venture that’s actually mostly just Pop, Lifehacker points to the ReCraigslist blog of the cunning web entrepreneur. He writes that after his pals challenged him to pick a business idea and get gung-ho about it, he went into the appliance business. The main reason to get into appliances can be broken into two parts — supply and demand. In any given area, people are constantly upgrading from one appliance to another, and often the equipment they’re shedding is perfectly good and works just fine. It can be a matter of going for a new color scheme (“Slate is so 2012!”), or a college student buying his first washer dryer. He hauls away old appliances for free, as well as setting up the new appliance in a buyer’s home as an added value for the customer, and writes that he works quickly to get a sale done for the seller and bring the new item promptly to the buyer. 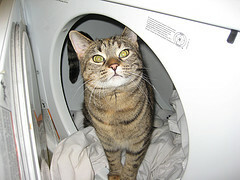 While some customers might be wary of dealing with an individual instead of a big box retailer with repair teams and warranties in case anything goes wrong, the Craiglist salesman notes that he’s learned the ins and outs of which brands and models are the most reliable, and will only sell appliances that he would be satisfied owning himself. Check out his blog in the source link below for more tricks of the Craigslist reseller trade.